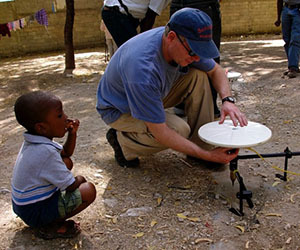 Andy received his PhD from the U. of Arizona in 1998, and after postdoc stints at UC Berkeley and The Carnegie Institution of Washington, joined EAPS in 2003. Andy’s research utilizes numerical modeling to understand a variety of time-dependent geodynamical processes that involve viscous flow and conductive cooling, including terrestrial projects dealing with crustal and mantle rheology, postseismic processes, and earthquake triggering, and planetary projects such as the full evolution of impact basins from transient crater formation through isostatic adjustment and faulting associated with lava emplacement and cooling. Andy teaches a variety of courses including the popular Geoscience in the Cinema class for non-majors and several graduate classes in geodynamics. Briony Horgan received her BS in Physics from Oregon State University in 2005 and her PhD in Astronomy and Space Sciences from Cornell University in 2010, then was an Exploration Postdoctoral Fellow at Arizona State University until joining EAPS in 2014. Her research program uses data from NASA satellites and rovers, along with lab and field work back on Earth, to understand the surface processes that have shaped Mars and the Moon. She is particularly interested in using mineralogy to investigate weathering and past surface environments on Mars, as well as volcanic, sedimentary, and impact processes on both planets. 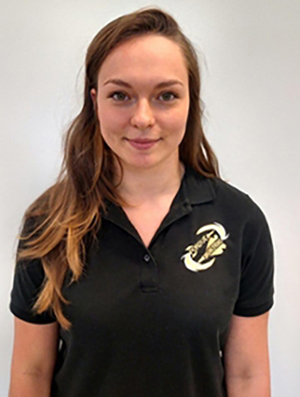 Briony is a Participating Scientist on NASA's Mars Science Laboratory rover mission and a Co-I on NASA’s upcoming Mars 2020 rover mission, the first step toward Mars Sample Return. 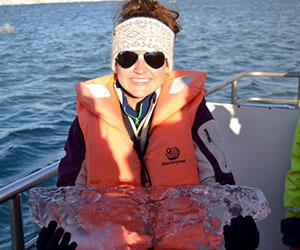 Briony loves getting to conduct field work all over the world, and enjoys outdoor activities outside of work too, including backpacking, camping, kayaking, and scuba diving. Jay is a Distinguished Professor of EAPS and also holds appointments in the departments of Physics and Astronomy and Aeronautical and Aerospace Engineering. He received his PhD in Physics and Geology from Caltech. His principal research interests are impact cratering, planetary tectonics, and the physics of earthquakes and landslides. His recent research includes studies of the giant impact origin of the moon, the K/T impact that extinguished the dinosaurs, the ejection of rocks from their parent bodies, and the origin and transfer of life between the planets. He was a science team member of NASA's Deep Impact mission that successfully cratered comet Tempel 1 and flew by comet Hartley 2, and he is a Co-Investigator of the GRAIL mission that returned detailed data on the Moon’s gravity field. Asteroid #8216 was named "Melosh" in his honor. He was elected to the U.S. National Academy of Sciences and the American Academy of Arts and Sciences, and was awarded the McCoy award of Purdue University. David earned his BS degree in Aerospace Engineering from NC State in 2003 and his PhD from the University of Arizona's Lunar and Planetary Laboratory in 2009. Under the tutelage of Prof. Renu Malhotra, he learned about the beauty of orbital mechanics and how we can use the dynamics of small body populations to infer the history of the early solar system. Following his PhD, he worked as a postdoc at the Southwest Research Institute in Boulder, where with Hal Levison and Bill Bottke he explored the formation and early evolution of the solar system. David joined EAPS in 2011, where his research group works on a variety of projects involving the history of the early solar system, the formation of satellites, the cratering history of airless bodies, and the physical and dynamical evolution of asteroids and comets. When not on Purdue's campus, David enjoys spending time with his wife Juliet and his children Leo and Emilia. Michelle earned her BSc degrees in Geological Engineering and Biology from Queen’s University in Kingston, ON, Canada in 2011. She earned her MS and PhD from the University of Arizona’s Lunar and Planetary Laboratory in 2016 and went on to be a NASA Postdoctoral Fellow at Johnson Space Center before coming to Purdue. Her research program focuses on the analysis of returned samples, including lunar soils collected by Apollo astronauts and asteroidal particles from the Hayabusa mission. She studies how grains on the surfaces of airless planetary bodies are altered due to their exposure to interplanetary space, a process known as space weathering. She uses coordinated techniques including electron microscopy, spectroscopy, and laboratory experiments to investigate changes in the microstructure, chemistry, and optical properties of planetary materials as a result of space weathering. We do not have any planetary postdocs at this time. Sheridan received her BS in Applied Mathematics from the Georgia Institute of Technology in 2012. After graduation, Sheridan worked at the Applied Physics Lab in Laurel, Maryland as a member of the Mars Reconnaissance Orbiter (MRO) Compact Reconnaissance Imaging Spectrometer for Mars (CRISM) Science Team. 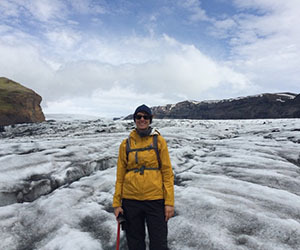 Her research uses remote sensing data to study the mineralogy and morphology of possible subglacial volcanoes on Mars. This research is complimented by analog field studies in both Oregon, U.S.A. and Iceland. Sheridan is a science team collaborator on both the Mars Science Laboratory and Mars 2020 rover missions. 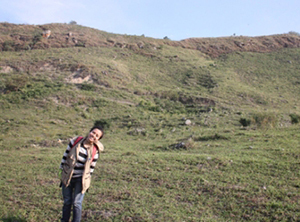 Laura received her BS in Geology in 2018 from Universidad Nacional de Colombia. In 2017 was a visiting scholar at EAPS and did her undergrad thesis in a mineral analysis of a Martian impact crater using remote sensing data under the supervision of Professor Briony Horgan. 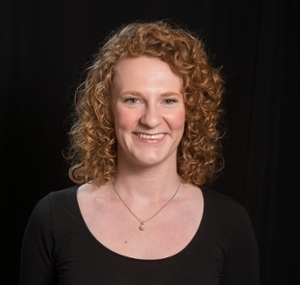 Currently, she is a Ph.D. student interested in space weathering processes in airless bodies and is part of the LEAPS research group of Professor Michelle Thompson. Jake was raised in Norfolk, VA, moving to Indianapolis, IN at the beginning of high school. 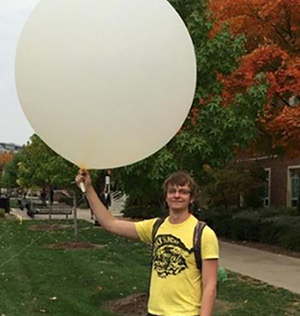 After spending a year at Indiana University for Nursing, he transferred to Purdue to study Atmospheric Sciences, where he would later pick up Planetary Sciences. 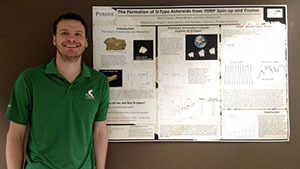 His undergraduate research focused on explaining the length of lunar crater rays. 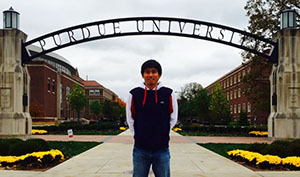 After graduating, he chose to stay at Purdue for his Master’s in Aeronautics and Astronautics. He currently works with David Minton and David Spencer to explain the formation of the Martian moons and propose a CubeSat mission to investigate. Jake enjoys camping, weightlifting, and going to concerts. James earned his BA in Physics with minors in Astronomy and Mechanical Engineering in 2018 from Cornell University. He is interested spacecraft mission design and operations with the goal of finding habitable environments and signs of past and present life in our solar system. James’ current research is focusing on studying redox gradients in Gale Crater on Mars using data from the Curiosity rover. His past research includes studying the breakdown of rocks on the lunar surface at NASA JPL and analyzing trajectories for the Europa Clipper mission. Brad received his BA in Earth Science modified with Biology from Dartmouth College in 2016. 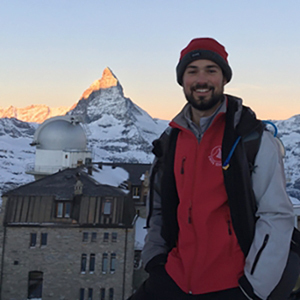 After graduation, he taught a semester of high school geology in Zermatt, Switzerland and then returned to Dartmouth to work as a research assistant under Dr. Marisa Palucis, where he studied the timing of alluvial fan and delta features in the Gale Crater region. His current research focuses on identifying biosignatures in lacustrine carbonates using Mars 2020 instrumentation. Hannah earned her BS in Astronomy from the University of Kansas in 2018. She is a PhD student studying the formation and evolution of ridges on Jupiter’s moon Europa with Professor H. Jay Melosh. Hannah has always considered Europa her favorite moon and looks forward to helping unravel the mysteries surrounding the icy world. 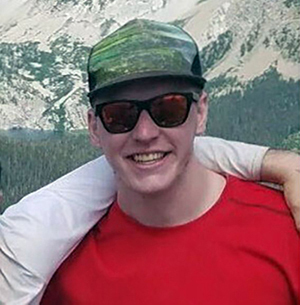 Greg earned his BS in Geology from James Madison University in 2018 with minors in geophysics and mathematics. Working with Professor Andy Freed, Greg’s current research uses hydrocode (iSALE) and finite element models (Abaqus) to explain the complete evolution of Mercury’s Caloris Basin. In his free time, Greg enjoys backpacking throughout the Appalachian Mountains and Pacific Northwest with his wife Sarah, and spending time with his two beagles Charlie and Lucy. Cesare received an MS in Automation and Robotics Engineering and an MS in Astronautical Engineering at the University of Rome "La Sapienza". He then earned a PhD in Aeronautics and Astronautics at Purdue University. While continuing his engineering work as a research associate in the department of Aeronautics and Astronautics, he is also completing an MS in Planetary Science, using remote sensing to combine engineering and scientific requirements for the selection of human landing sites on Mars. His research spans System-of-Systems modeling and analysis, planetary geology, remote sensing, space systems design and architecture evaluation, and robotics. Dara received her BS in Geology from the University of Nevada Las Vegas in 2016. Her undergraduate thesis research on the petrology of martian meteorites set her on a path to career in planetary geology. 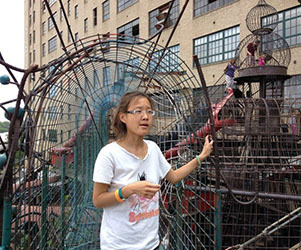 Following graduation, she participated in NASA internships at Louisiana State University and Jet Propulsion Laboratory. Currently, she is working towards a PhD under the advisement of Dr. Michelle Thompson. Her research uses laboratory experiments, spectroscopy, and microscopy to understand the effects of space weathering on airless planetary bodies. Stemming from her background in the performing arts, Dara also has a passion for science communication, education, and outreach. 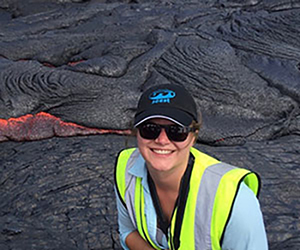 Marie received her BS in Solar, Earth, and Planetary Sciences from the Florida Institute of Technology in 2013. After graduation, Marie worked at Malin Space Science Systems in San Diego, CA as a member of the Mars Curiosity Rover’s MAHLI camera team before returning to Purdue to earn a PhD in Planetary Science. Marie’s research focuses on volcanic deposits found on the Moon. She uses spectroscopy of glasses on the lunar surface as well as analog samples on Earth to understand the volcanic eruptions from which they formed. Marie is a science team collaborator on both the Mars Science Laboratory mission. Outside of her research, Marie gives outreach talks to everyone from Kindergarten to senior citizens and trains for and has completed an Ironman triathlon. Jennifer earned her BS and MSc in Engineering Sciences from l’Ecole des Mines de Nancy, France. After that, she focused on aerospace engineering at Purdue University, and started her PhD with Professor David Minton in 2018. Her research focuses on collisional dynamics of debris disk in accretion models to explain the origin of Phobos and Deimos via giant impact. 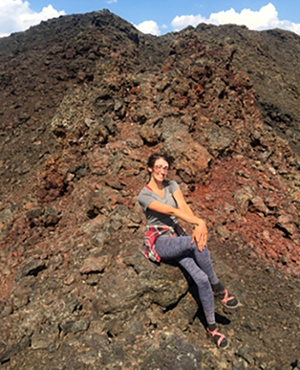 Amanda earned her BS in Geology from Western Washington University in 2018. 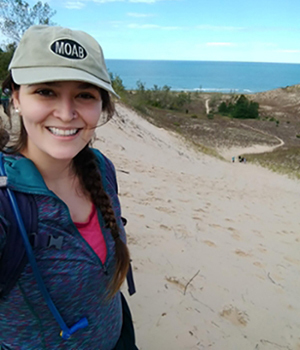 Thanks to all of the help and support she received during her undergraduate career both at WWU, at an internship at the Lunar and Planetary Institute, and from many others, she was able to make the journey out to begin her graduate career in Indiana! Her current research is working towards creating a mineralogy map of Gale Crater, Mars, where the Mars Science Laboratory Curiosity rover currently resides, using remote sensing data. Noel received his BS in Physics and Astronomy/Planetary Sciences from Stony Brook University in 2015. 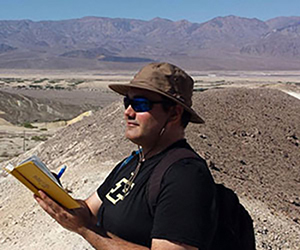 His research involves understanding the geologic and climate history of Mars through investigation of weathering processes in cold Mars analog environments. 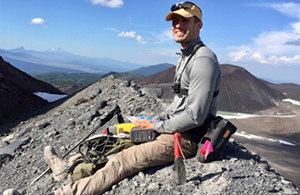 His work combines remote sensing data analysis, laboratory work, and fieldwork at the Three Sisters volcanic complex in Oregon. Noel is a science team collaborator on Mars 2020 rover mission. Prakhar completed his undergraduate degree in Mechanical Engineering from Ramaiah Institute of Technology, India. 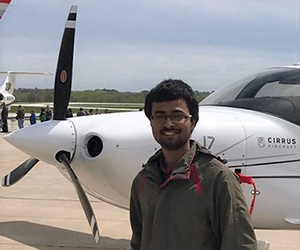 He then went on to receive his Master’s in Aeronautics and Astronautics from Purdue in 2018 where he was motivated to pursue Planetary Sciences. 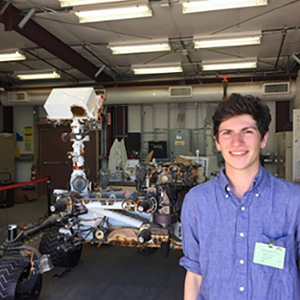 His current research, under the supervision of Professor Briony Horgan, focuses on understanding the mineralogy and surface processes at the north polar region of Mars using visible and near-Infrared spectroscopy from orbit. In addition, Prakhar enjoys exploration and has been on multiple high-altitude Himalayan Expeditions and is also an advanced open water diver. 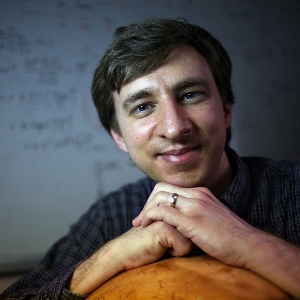 Alex earned his BA in Physics at Colorado College, during which time he also worked at the National Ignition Facility at Lawrence Livermore on a way to improve alignment efficiency of the Neutron Imaging System and at U. of New Mexico’s Center for High Technology Materials developing multi-junction solar cells. Here in EAPS, Alex focuses on hydrocode (iSALE) and finite element modeling (Abaqus) to analyze the full evolution of impact basins, from small basins to the large South Pole Aitken. He also studies the convection of nitrogen surface ice and the water-ice mantles on Pluto. 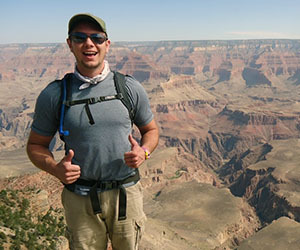 When not doing research, Alex enjoys rock climbing, backpacking, canyoneering, skiing, and caving. Carlisle earned her BS in Astrophysics from the University of Alabama in 2017. Her current research focuses on early solar system modeling, the formation of the terrestrial planets, and early martian impacts. In particular, she is interested in the Late Heavy Bombardment period and the source of Late Heavy Bombardment impactors. In her work, Carlisle uses n-body simulations to model the effects of giant planet migration on terrestrial planet formation. Carlisle’s work combines dynamical models with martian cratering statistics to determine the timeline of early Mars. Kevin earned his BS in Physics in 2013 from Truman State University. He is currently a PhD student in the EAPS department at Purdue University. He has a passion for problem solving, data analysis, and coding. 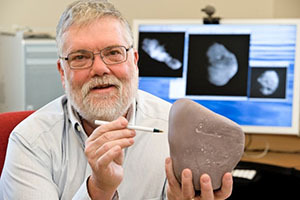 His research focused on physical mechanisms that cause asteroids to alter their surface properties helps explain why certain asteroids look similar to ordinary chondritic meteorites, and why others have stayed weathered in the space environment. Kevin is now a Business Intelligence Analyst at Southeast Hospital in Missouri. Andy attended Miami University to earn a B.S. in Physics. Staying at Miami, he received his Masters in Physics while studying the rotational dynamics of Nereid, a moon of Neptune. He then enrolled at Purdue to earn his Physics PhD. Working with Dr. Minton he has created a computer simulation to model the formation of satellites from debris disks. This model has been applied to the formation of the Martian moons Phobos and Deimos, as well as the Uranian satellite Miranda. In addition to research, he also enjoys amateur astronomy and participating in outreach events with the public. While not pondering the mysteries of the universe, he spends his free time rock climbing, backpacking, cycling, and playing "unique" musical instruments. Andy now works in Dayton, Ohio. Ya-Huei (黃雅惠) comes from the south of Taiwan. She gets inspired by a variety of things such as black holes, comic books, college life, Grunge, and now impact cratering science! She earned her BS in Physics from National Chung-Cheng University, surrounding by pineapple farms. She earned her MS in Physics from National Tsing-Hua University and was doing protein folding dynamics after then. Her research focused on impact craters and is developing a model that tracks impact-generated material transport on the Moon. She enjoys learning geophysics, reading Apollo sample papers. Ya-Huei is now a Postdoc at MIT. Rebecca Smith received her BS in Geology from UC Berkeley in 2010 and her PhD in Geology from Arizona State University in 2016. Rebecca’s research utilizes laboratory and remote sensing techniques as well as fieldwork to try to constrain chemical weathering environments on Mars. Her work with Prof. Briony Horgan at Purdue University focused on characterizing the composition of amorphous weathering products found in soils and sediments formed in a variety of terrestrial weathering environments, in order to understand the importance of amorphous phases found in Gale Crater on Mars. She is also a Mars Science Laboratory science team member. Becky is now a postdoc at Stony Brook University. Toshi was a postdoctoral associate working for Dr. Dave Minton and Dr. Jay Melosh. Toshi’s research focused on modeling the evolution of crater-generated porosity in the lunar crust, using a crater terrain evolution model in conjunction with constraints from GRAIL gravity data. Using a Monte-Carlo simulation code, CTEM, and an impact simulation code, iSALE, he investigated crater generation and formation. Toshi is also interested in dynamics and mechanics such as theoretical modeling of gravity fields in an irregularly shaped body. Toshi is now an assistant professor at Auburn University. 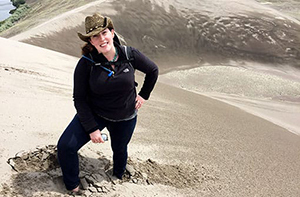 Colleen Milbury received her PhD from UCLA in 2011 and completed a postdoc at the Universite de Nantes in 2012, both in the area of planetary magnetism, before coming to Purdue. She simulated impact crater formation on the Moon in order to calculate gravity anomalies, and compared the results measurements from space-based sensors onboard GRAIL. Colleen is now the Data & Analytics Manager at First Hawaiian Bank. Dave Blair received his Ph.D. in Planetary Geophysics from Purdue University in 2016 working with Prof. Andy Freed and his B.S. in Geological Sciences from Case Western Reserve University. He is originally from Philadelphia, PA. Dave used finite element modeling (FEM) to show that large lava tubes potentially detected in GRAIL gravity data on the Moon could be stable over long time periods. Dave is now the Scientific Computing Coordinator for the Department of Chemistry and the Department of Earth, Environmental and Planetary Sciences at Brown University. Jordan Kendall received his BS in Physics and Mathematics from Rose-Hulman Institute of Technology in 2009, and his PhD from Purdue in 2017, working with Prof. Jay Melosh. Jordan’s PhD research focused on hydrocode modeling (in iSALE) of large asteroids striking planetary bodies. He modeled the fate of differentiated impactors during accretionary impacts, and investigated the South Pole-Aitken basin-forming impact on the Moon. Using high resolution 3D models, he determined the emplacement of the ejecta blanket for different impactor sizes, velocities, and angles. Jordan is now a postdoc at NASA Goddard. Jordan Steckloff received his BS in Physics, Economics, and German from the University of Michigan in 2009. In 2015, he received his Ph.D. in Physics from Purdue University for his dissertation entitled "On the Interaction of Sublimating Gases with Cometary Bodies." He later worked as a postdoc at the Massachusetts Institute of Technology starting in January of 2017, and began a second postdoctoral position in January of 2018 at the University of Texas at Austin. Jordan is now a Research Scientist at the Planetary Science Institute. Tim Bowling received his BS in Physics and Music Performance from Augusta College in 2007. Tim’s PhD research with Prof. Jay Melosh focused on hydrocode simulations of impacts on Ceres and Vesta. Following graduation, Tim was a TC Chamberlain Fellow at the University of Chicago from 2015-2017. 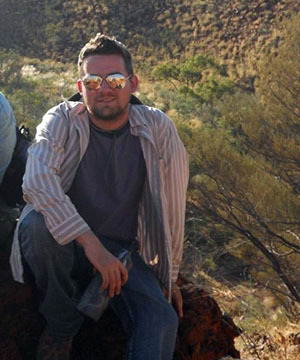 Tim is now a researcher at the Planetary Science Institute as well as a Data Scientist at Metis in Chicago, Illinois. Brandon Johnson received his BS in Physics from Michigan Tech in 2009. Brandon’s PhD research with Prof. Jay Melosh focused on hydrocode simulations of impact cratering, including the impact formation of chondrules and impact spherules. Brandon is now an Assistant Professor in the Department of Earth, Environmental and Planetary Sciences at Brown University.